About two years ago I started photographing events for Cambridge Postdoc Society, or PdOC as we like to call ourselves. It began with me just bringing the camera along for fun, and then sharing the pictures on facebook the day after. Now I am on the PdOC committee as the marketing officer and one of my tasks is to make sure we have a steady stream of event photos. The society has grown a lot over the last two years, much thanks to the great job of the PdOC events team that organise formal dinners, barbecues, seminars and other events. I do like to believe that the event photos have helped the growth, by showing others how fun our social events are, encouraging them to join. If you are a postdoc in Cambridge reading this, sign up for the PdOC mailing list, and come join our next formal hall. It is a great way to meet others here! Ok, sorry about that. My inner marketing demon woke up. What I wanted to write about here is that photography can open doors for you. I try to be very selective in what photos I upload, so that people will feel comfortable that when I take a photo it will only show up if it is a good one. The corollary of that is of course that I am taking quite a few photos, to make sure I get some good ones, but people are generally happy to oblige. It is a great excuse to just walk up to some new people and start chatting. One time a psychology postdoc called me out on that, but even that conversation was quite enjoyable. Two weeks ago Cambridge University Photographic Society (Phocus) was having a photography event in King’s College Chapel. 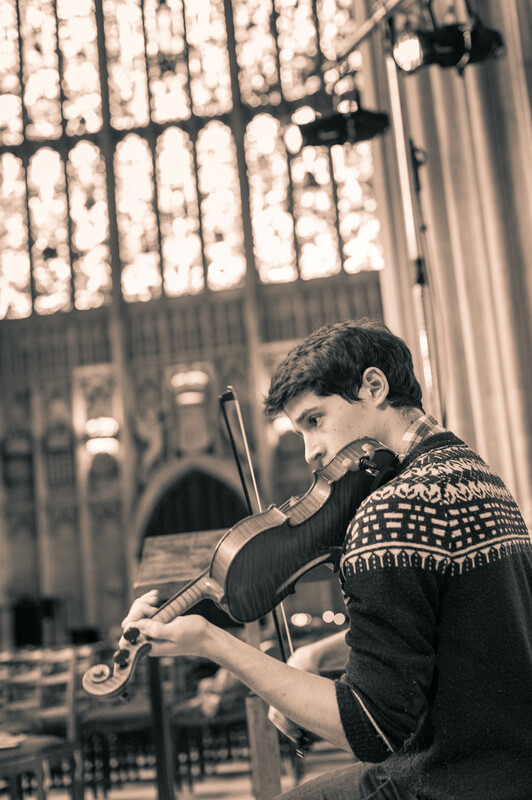 We were taking pictures of the Cambridge University Musical Society as they were rehearsing. This was quite fun, but challenging as we were asked not to disturb the orchestra as they were playing which meant keeping a bit of a distance. For those that have seen my photos before, I use prime lenses and practise a close combat style of photography. Luckily I got a few good shots before getting told to move. 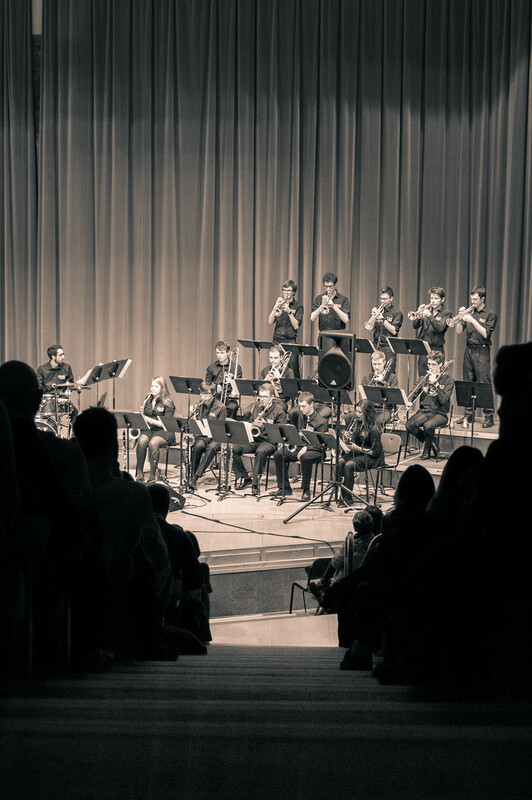 Anyway, this photo shoot lead to me being invited to photograph the talented jazz quartet Saxual Healing at Clare Cellars the week after and now yesterday to photograph Liane Carroll and the Cambridge University Jazz Orchestra at West Road Concert Hall. Both events were really fun, and I am glad I decided to join for that afternoon photo session in King’s College Chapel which opened the door for these other events. Cambridge University Musical Society practicing in King’s College Chapel. I wanted to get a sense of the surroundings so went for a low angle to try and capture the beautiful windows in the background. 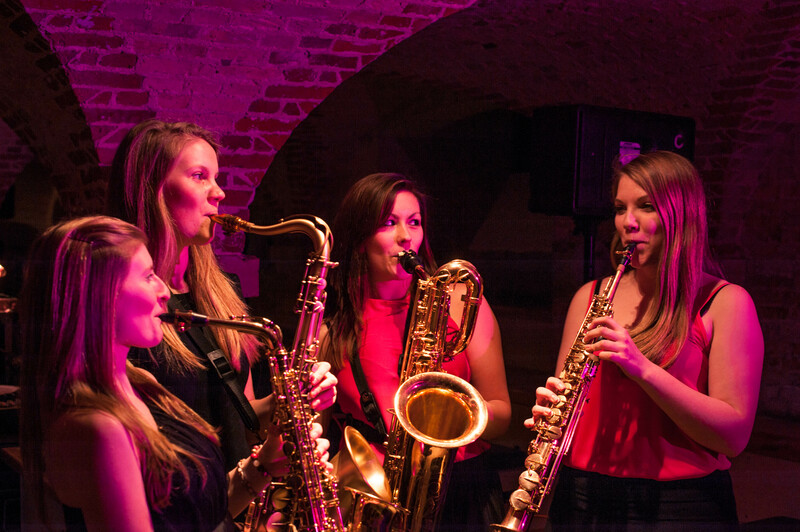 Taking a photos of Judith, Sarah, Karys and Romilly in Saxual Healing, before their gig. There are a couple of spotlights above, and I have a remote flash to the right just outside the frame. The girls got to choose colour on the gel, so pink it was. To make the picture a bit more dynamic I asked them to look at each other. 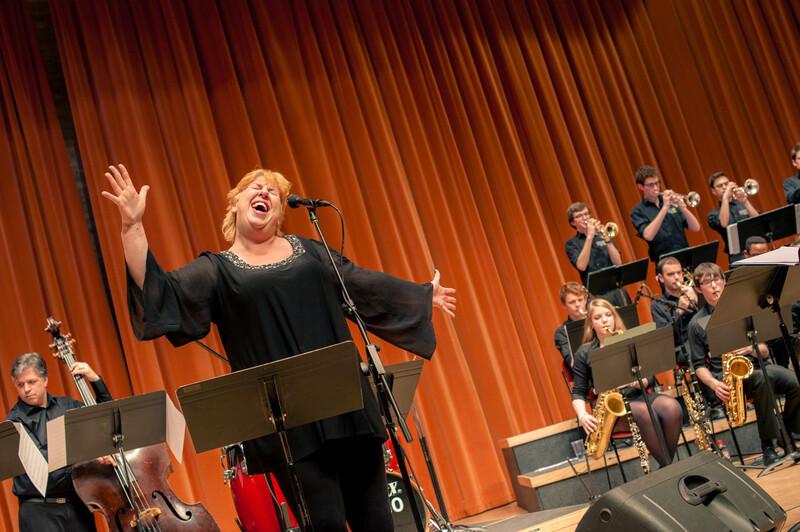 Liane Carroll performing with Cambridge University Jazz Orchestra. She was great on stage, witty and very expressive with big motions. A photographer’s dream! Normally when I do post processing I increase the contrast and clarity, this time I experimented with the opposite which brought out a bit more detail in the photo, especially for the black dress which is quite tricky to capture any structure in otherwise. One last comment on event photography. There is always a fine balance between capturing an event, and experiencing it. Last night’s concert was a good example of that. I wanted to capture some of Liane’s very expressive gestures, and also the orchestra laughing, so I needed to have the camera ready, at the same time I wanted to enjoy the music and atmosphere. After the break I was itchy for some overview photos so entered from the back, and then got some nice shots before walking back to my seat in the second row. After the break, sneaking a shot from the rear before walking back to my seat. I had scouted the location during the rehearsal, so had a rough idea of what I wanted. The lower part of the photo has been lightened in post-processing to bring out the stairs from the shadows, leading the viewer into the scene. Thank you Johannes for your beautiful photos from the CUJO gig. You really captured the sense of fun and excitement at the concert.